The Bon Secours Sleep Disorder Institute is located at Good Samaritan Hospital in Suffern, NY. We have been accredited by the American Academy of Sleep Medicine since May 2004. Accreditation signifies that our facility meets the practice standards set forth by the American Academy of Sleep Medicine. Our physicians are credentialed in sleep medicine, internal medicine and pulmonary critical care medicine and we maintain a staff of credentialed and appropriately trained technologists. Our mission is to provide the highest quality sleep diagnostic services and to provide appropriate treatment to improve quality of life. We aim to make our patient’s experience pleasant and to provide compassionate care in a safe and comfortable environment. Our board certified sleep physicians are qualified to evaluate and provide treatment for a wide variety of sleep disorders including obstructive sleep apnea, central sleep apnea, insomnia, restless leg and periodic limb movement disorder, parasomnias and narcolepsy. 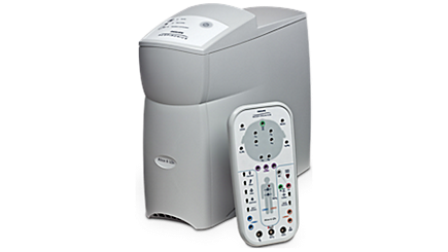 Good Sarmaritan Hospital's Sleep Disorder Institue offers the latest technology in sleep issue diagnosis, The Alice 6 LDE. The Alice 6 LDE system provides our technicians and doctors the most advanced set of channels needed to meet AASM standards, while also allowing staff to focus more on patients and less on equipment. Electrode impedance is continuously monitored and displayed for EEG, EMG and ECG during the sleep study to give the clinician real-time feedback on the quality of electrode-skin contact.